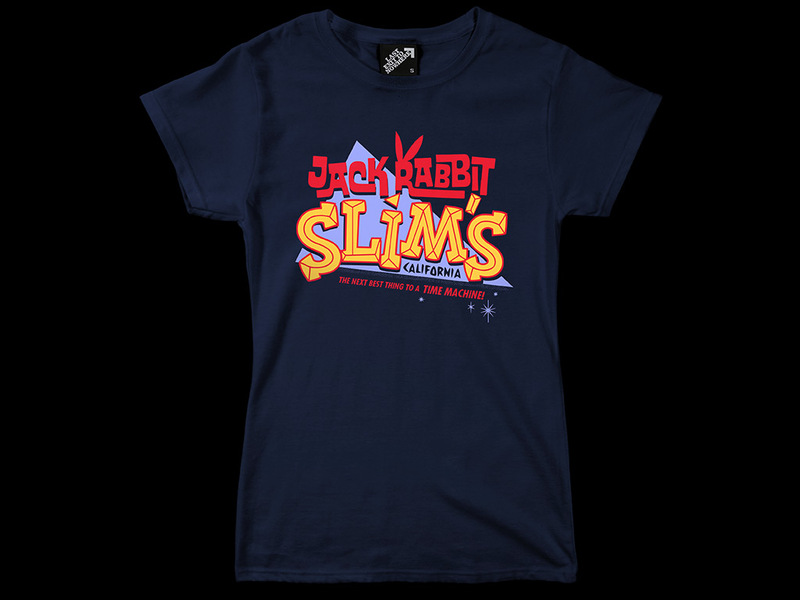 A three colour design, hand screen printed on a ladies fit 100% cotton navy T-shirt. 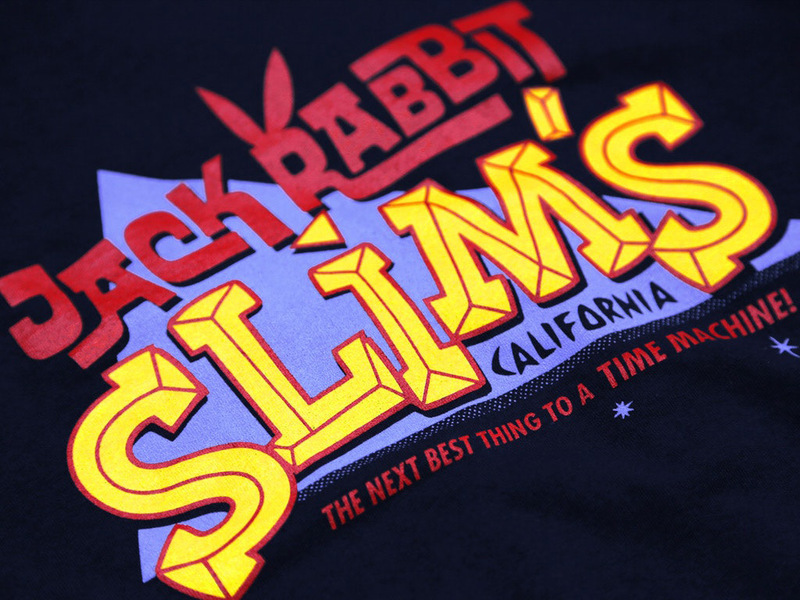 Inspired by the fictional restaurant featured in the 1994 American crime film, Pulp Fiction, written and directed by Quentin Tarantino and based on a story by Tarantino and Roger Avary. The film stars John Travolta, Samuel L. Jackson, Bruce Willis, Ving Rhames, and Uma Thurman.